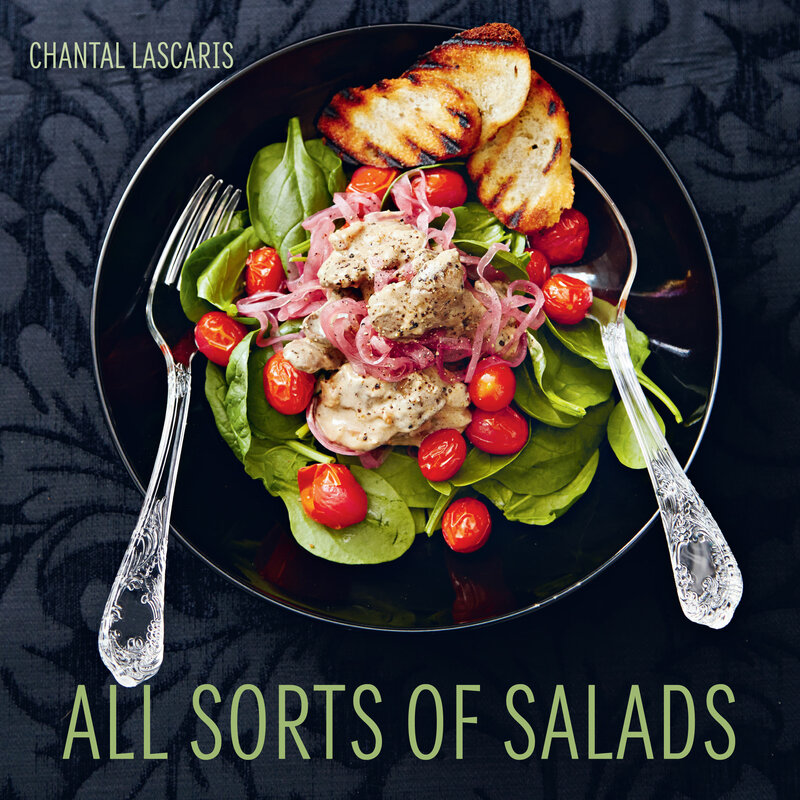 All Sorts of Salads features over 70 delicious recipes for main and side salads. Gone are the days of having lettuce as your main ingredient as this book will take the home cook out of his or her salad rut and provide some interesting and tasty dishes to explore and enjoy! The book is for anyone who wants a greater choice of salads in their daily diets, including those who want to prepare them for health reasons. It has a helpful ‘shortcuts’ section that advises the reader on what can be prepared beforehand and frozen, as well as a whole chapter devoted to making fresh and delicious homemade salad dressings. All Sorts of Salads is simple enough for novice home cooks, yet also provides inspiration for experienced home chefs. All Sorts of Healthy Dishes is a culmination of Chantal’s family history, her culinary trips abroad and her passion for maintaining optimum health. For as long as she can remember, she’s had a fascination with food and beauty, and the irrefutable link between the two. “I strongly feel that what you eat impacts what’s happening to your body both internally and externally.” Her new cookbook is a follow-up to All Sorts of Salads with strong emphasis on the healthy Mediterranean way of eating. It focuses on a nutritious lifestyle which she’s rediscovered through her family background. Chantal has always been intrigued by the longevity and general health of communities in the Mediterranean, and travelled to France, Greece, Italy, Spain, Turkey and Morocco to learn more about the diets of these countries. She spent quite some time with local vendors at food markets and eateries; she visited people’s homes and even lived in Southern France for a bit. “I learnt so much from these experiences; from the Bouquei in Barcelona to the vibrant spice markets of Marrakesh. I also spent time in North Africa and Turkey – people often forget these also form part of the Mediterranean! I went on a thorough food journey where I got to experience and understand local ingredients. All of this has been integrated into my new cookbook”. Chantal has adapted the recipes to local produce and availability so that everyone can taste a piece of her culinary adventure. The ingredients used in All Sorts of Healthy Dishes are easily available and easy on the pocket too.